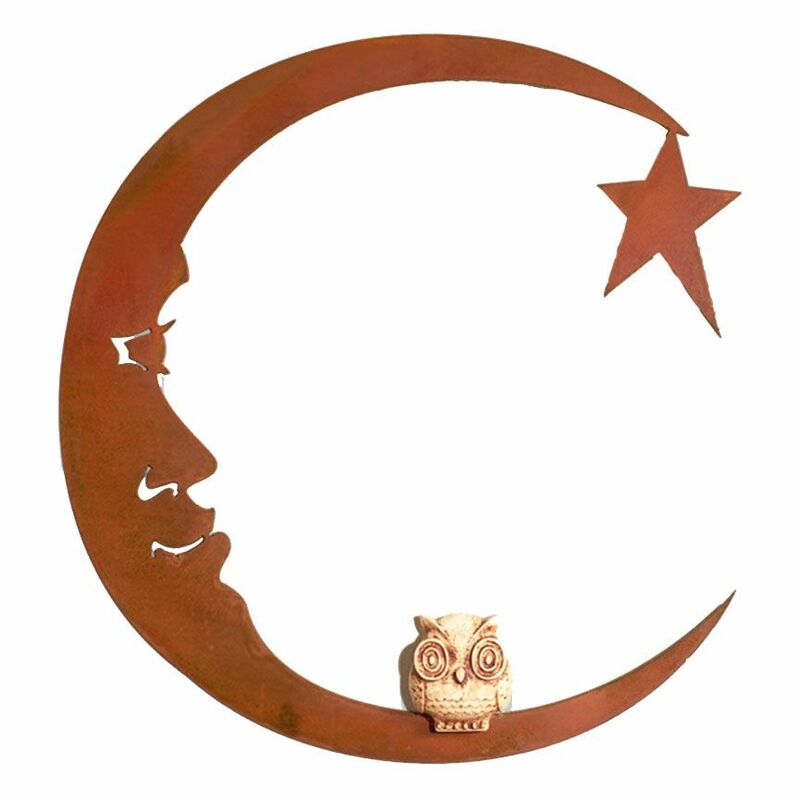 We're unclear how the little antiqued owl got to the moon, but he certainly makes an adorbs addition. 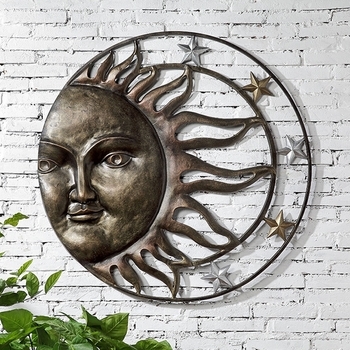 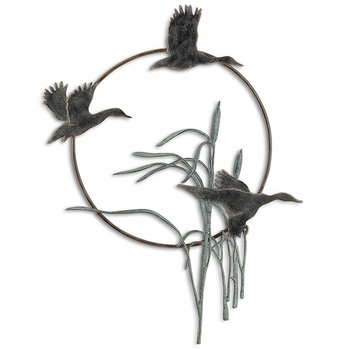 Ideal as a garden accent or an artful wall hanging in a child's room or play space. 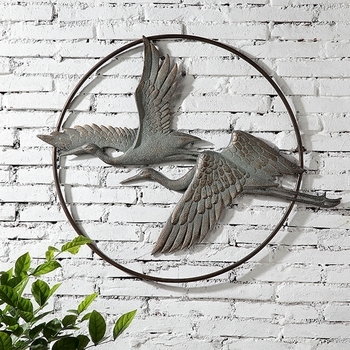 Rustic reclaimed metal wearing a clear coat finish.